Once upon a time, there was a home. Measured in BHKs and square units, homes were all bricks and no soul. Then Bhartiya City came along, making not just a home, but a city. And not just any city. A 125-acre city built by the smartest, for the smartest. If you think that’s just a catchphrase, consider this. At Bhartiya City, a two-year-old can walk unaided to playschool. Lamps double up as Wi-Fi hotspots. And vertical gardens form fertile ground for fresh produce and friendships. Here, all conventions are questioned, analysed and turned on their heads. For further proof, just look up. You’ll find a city within a city. A rooftop city. It has a Sky Park, a Sunrise Point, shops, cafes and even a private cinema for private screenings. Can’t step out? Download an app and order anything with a touch and a swipe. True story. Once upon a time, there was a home. Now there’s Home 3.0. 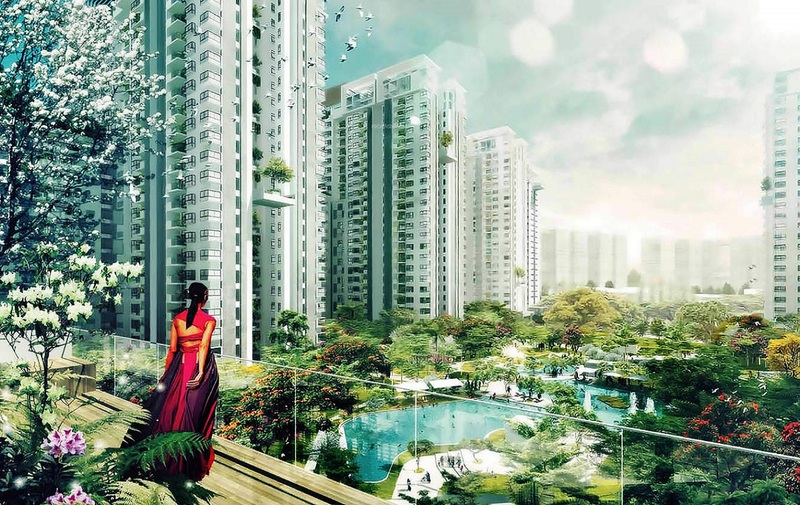 Welcome to Nikoo Homes II by Bhartiya City. Nikoo Homes II is located in District 6 of Bhartiya City – an integrated city spanning 125-acres on Thanisandra main road in Bengaluru. Planned by global architects presenting new standards in exteriors and interiors, Nikoo Homes-II epitomes ‘smart’ living. Premised on the belief “one size never fits all”, a potential buyer is spoilt for choice here. 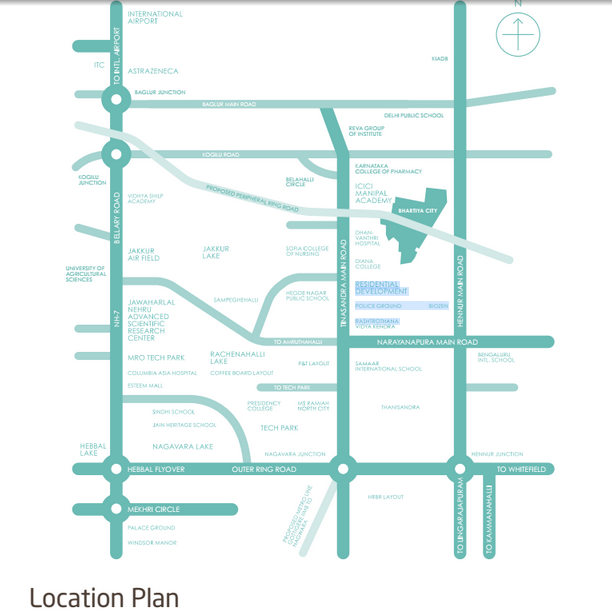 The offerings include the entire gamut of studio to 1- 3 bedroom apartments, spacious sky villas and everything in-between. Nikoo Homes-II promises all the amenities and luxury of living in not just a smartly designed home but in the enviable environs of Bhartiya City. If you think that’s just a catchphrase, consider this. At Bhartiya City, a two year old can walk unaided to playschool. Lamps double up as Wi-Fi hotspots. And vertical gardens form fertile ground for fresh produce and friendships. Here, all conventions are questioned, analyzed and turned on their heads. For further proof, just look up. You’ll find a city within a city. A rooftop city. It has a Sky Park, a Sunrise Point, shops, cafes and even a private cinema for private screenings. Can’t step out? Download an app and order anything with a touch and a swipe. True story. Once upon a time, there was a home. Now there’s Home 3.0. 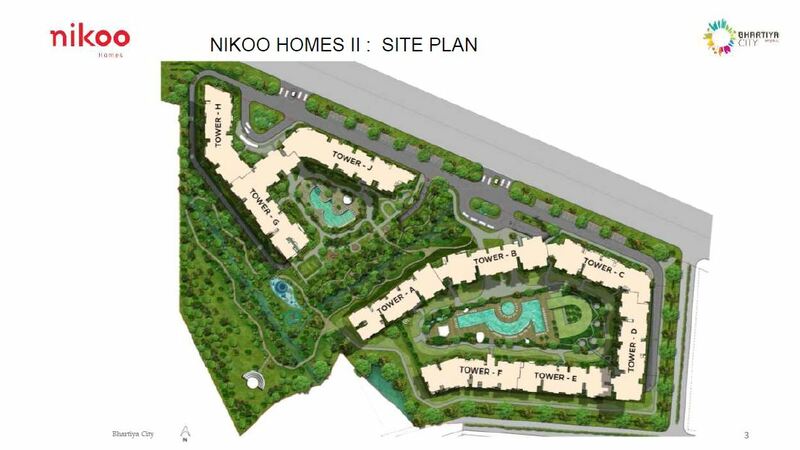 Welcome to Nikoo Homes II by Bhartiya City. Bengaluru is where business happens. It’s become one of the fastest growing hubs for IT development in the past 8 years. But sustaining that requires continuous investment and infrastructure to support every need. The BCIT located in Districts 4 & 5 is our plan for that future. 37 lakh sq. feet of a carefully considered environment for thriving IT, financial and knowledge driven sectors. This wholly contained SEZ that follows the utmost security and infrastructure standards. And it has an ever convenient location- the international airport is 25 minutes away. If you live in a Nikoo home, even better. Thats just a 5 minute walk away.